For a wonderful modern touch to the bathroom, this single sink vanity is the perfect choice. The amount of style and storage it brings to the space will really make a very nice impact. 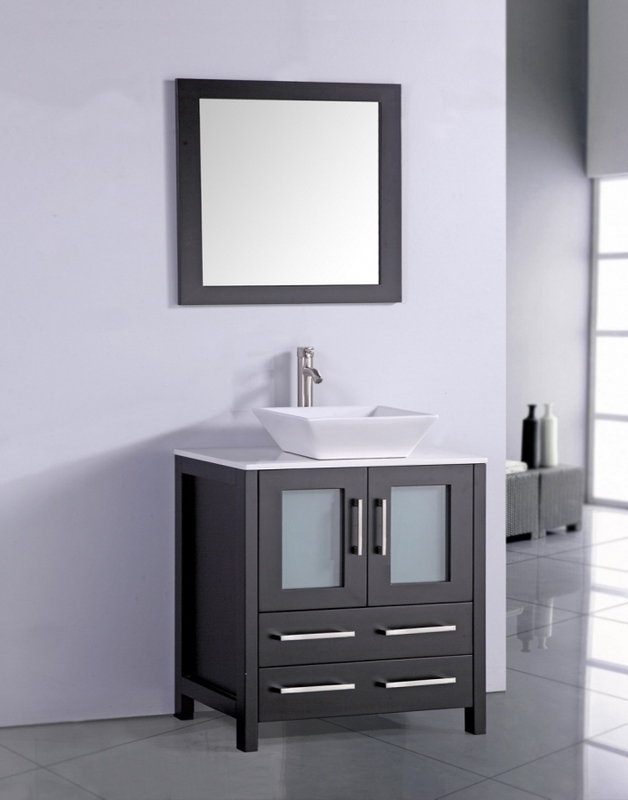 The dark tone finish of this piece is enhanced with the brushed nickel hardware pulls and the white ceramic vessel sink and the counter top material. Frosted panel inserts on the cabinet doors adds another updated look to the piece. 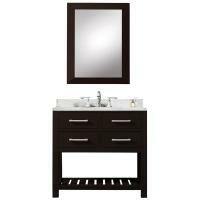 The double door cabinet and two lower drawers are great spots for stashing bathroom essentials neatly out of sight. A matching mirror is also included.